Coil used in some older Gottlieb electro-mechanical (EM) pinball games. No diode. 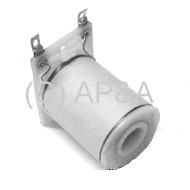 Includes standard coil sleeve # 03-7066.